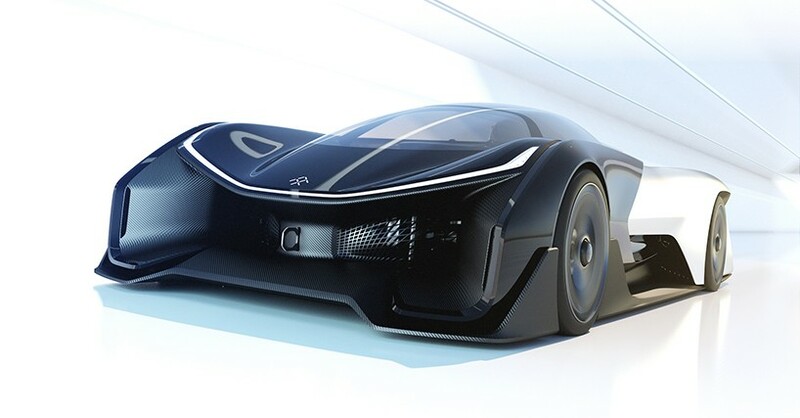 The company’s first ever concept, the ‘FFZERO1’ is a high performance electric vehicle built upon faraday future’s ‘variable platform architecture’ – a modular engineering system optimized for electric vehicles, on which all future production vehicles will be based. this will enable them to minimize production costs and dramatically increase its speed to market. 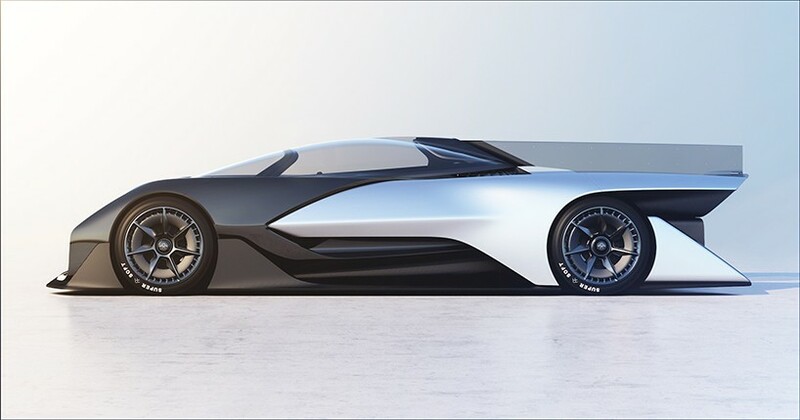 the FFZERO1 concept is an amplified version of the design and engineering philosophies informing FF’s forthcoming production vehicles,’ describes richard kim head of design at faraday future. ‘this project liberated our designers and inspired new approaches for vehicle forms, proportions, and packaging that we can apply to our upcoming production models. 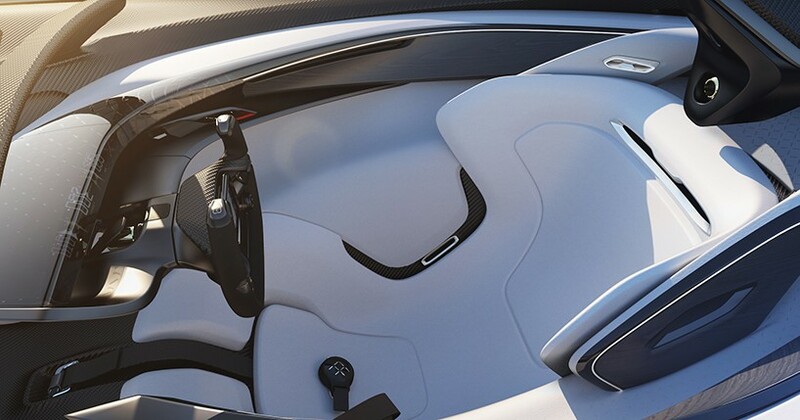 utilizing advanced lightweight materials and composites, the faraday future design team experimented with new driver-focused proportions, pushing the canopy forward for a perfectly aerodynamic teardrop profile. 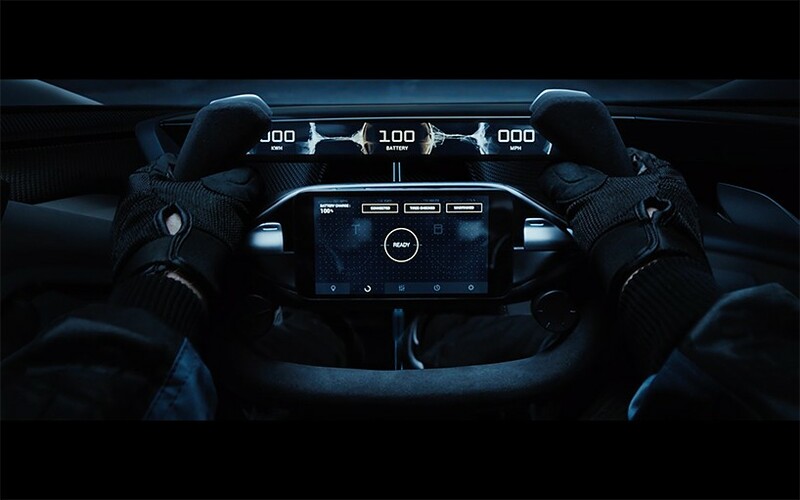 aerodynamic tunnels run through the interior length of the vehicle, allowing air to flow through the car rather than around it, dramatically reducing drag and improving battery cooling. At each wheel, the concept features four motors built for specific track use. if developed for limited production, it will have more that 1000 horsepower and will accelerate from zero to 100 km/h in under three seconds. the single seat configuration of ‘FFZERO1’ is white with a carbon fiber finish. it offers a comfortable, weightless body position, holding the driver at a 45 degree angle, thereby helping to promote efficient blood circulation.